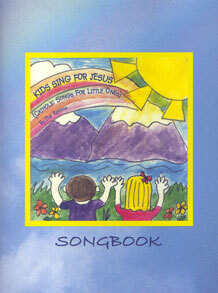 This songbook, published by World Library Publications, contains all 11 of the songs from the Kids Sing for Jesus CD for piano, guitar, and vocals. Includes two-part harmonies that can be used with any youth choir. Fun-filled and catchy melodies will make it easy for kids to learn the lyrics, and directions for choreographed body and hand motions make singing along even more enjoyable! A special treat for music directors, children, and families alike.